Our shop loves to feature the work of local handmade artists whenever possible. It's hard to have just local artists... as some SUPER cool handmade items are from artists in New York, California, and even other countries. But we got super lucky when we found Little Minnow - we found their Texas "howdy" cards by surfing etsy for Austin artists. As they came to deliver the cards, I saw their screen-printed infinity scarves and said "WHAT! plzzzz add 10 of those to our order!" Ha. 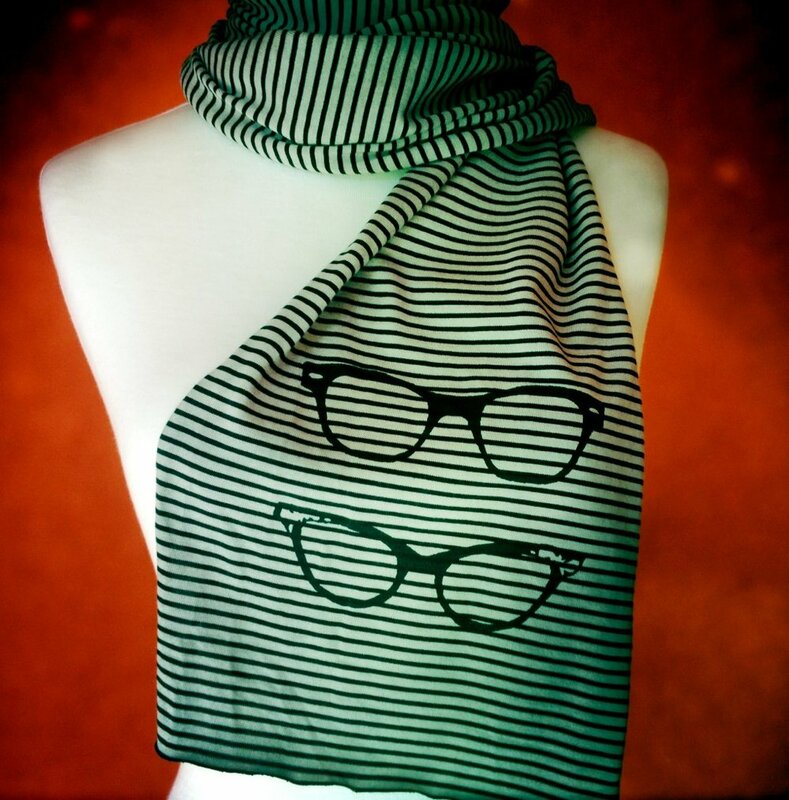 And the scarves have been a huuuuge favorite from customers. Everyone who touches a scarf (they are so soft!) buys one. Every. Person. Come in and touch one. I dare you! So enjoy this interview with the Austin sister-duo known as Little Minnow! -Give us some basic info about you: name, where you live, kids/pets, favorite ice cream flavor, what you do, etc. Hello there! We are Lizzi and Mary of Little Minnow Designs. Originally from the great northern state of Minnesota, somehowwe have found ourselves living in Austin, Texas. Pretty lucky we think. We are sisters, and we live together with our fish Yosaki Yojimbo (Saki Bomb, for short) and our Basil plant, aptly named Bad Boy Baz. 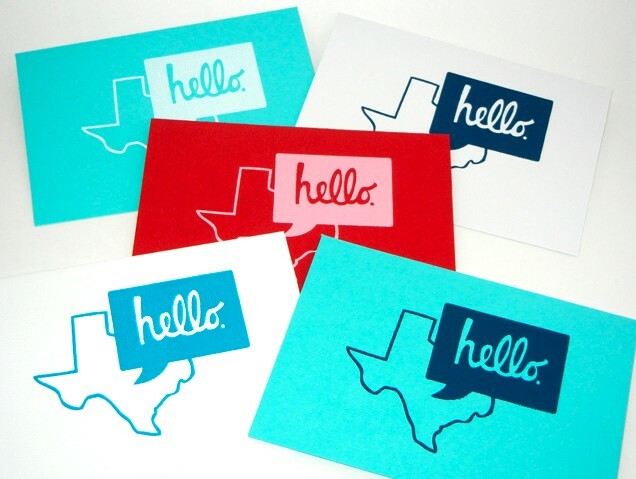 We love hand-drawn typography, breakfast tacos, pretty fabric, tea, and screen-printing. When it comes to ice cream, we would do just about anything for a drumstick. -What mediums do you like to work with? We love texture. We are very hands-on when it comes to choosing paper and fabric for our work. We also love color. We get so excited when we find a new color of fabric for our scarves or mix up a sweet shade to use for making prints. -Were you creative growing up/what did you enjoy doing? Oh goodness. We have been DIY girls as long as we can remember. Our mom played a big role in this as she was always helping us think of new projects and providing supplies for our endeavors. (Hi Mom!) Growing up we used to sew our own scrunchies, purses, and add embellishments to our jeans. It was cool back then, we swear. It seems everything just kind of evolved from there. We are always sketching, brainstorming new products and designs, researching our craft. Although we both studied art in college (Lizzi in Advertising, Mary in Fine Arts), printmaking has mainly been a self-taught adventure. -Top 5 favorite foods, tv shows, and bands? Favorite Foods: sushi, breakfast tacos, chocolate milk, anything with avocado…does beer fit into this category? When we have a big day of work ahead of us, you can bet that we will have some Chex Mix and Hot Tamales on hand. TV Shows: Arrested Development, House, The Mentalist, Modern Family, and Workaholics…Our guilty pleasure is the show Intervention. We are pretty sure we could lead one at this point. Bands: Our working Pandora stations range anywhere from John Mayer to Regina Spektor, Jason Aldean, Taylor Swift or Adele….but an impromptu Disney or Brand New sing-a-long is not unusual in our apartment. Lizzi has quite the vocal range and is not afraid to use it. -Is there anything you’d like to try your hand at doing? We have done some research and are hoping to be working with a letterpress in the near future (again, we love texture!) We would also like to learn more about working with leather. We hope that Little Minnow Designs is our only job – and we spend our days drinking tea, designing, and printing. Oh, and maybe doing so in a bigger space than we currently have now. Yeah, that would be nice. In love with these scarves as much as we are? 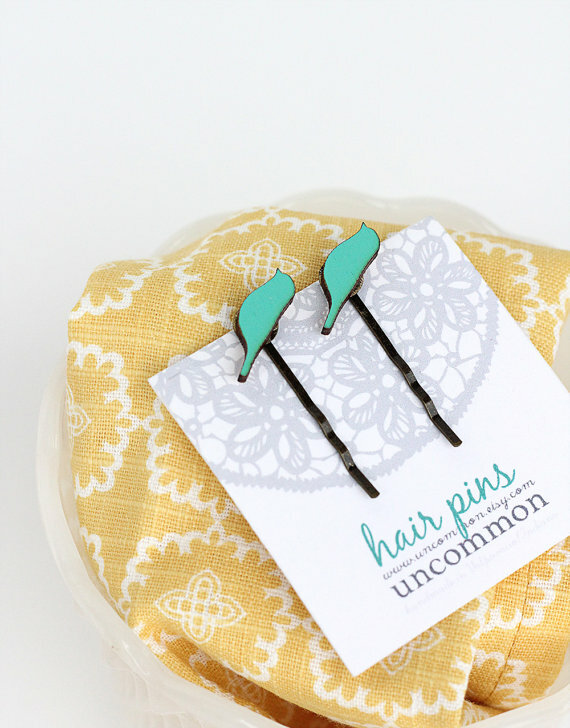 Check out Little Minnow's etsy shop if you're not in Austin. Living in our beautiful city? Come check them out in person at The Burlap Bag at 30th and Guadalupe! I promise you... if you feel one, you'll want one! Enjoy this interview with Uncommon! And come see their items in person at our shop here in Austin! Vincent and Jessie Leman, designing together and married for 6 years Valparaiso, Indiana (a cozy town close to Chicago and Lake Michigan beaches) No kids or pets yet, but we'd love to have both some day. We have the same birthday! It's always an extraordinary day. We both love integrating the precision of digital tools with wood. When we need a break from all that precision and technology, Vince likes to sketch with pen and ink and I like to sew or crochet stuff for our home. We were both super creative kids... we've got lots of amusing grade school art class projects that can attest to that! We love sushi, fresh garden veggies, a good grass fed beef burger, and have a joint inexplicable weakness for cocoa krispies. We'd love to open a brick and mortar shop some day... selling choice handmade goods. -A couple of artists/etsy shops/photographers you enjoy? I'm a huge fan of Charley Harper. We are both in love with Charles and Ray Eames' work. We are always inspired by other couples who work together. We'd love to own a home and be renovating that, with veggies and flowers in the garden. Today's Artist Spotlight is with Kelly of Tiny Peepers. 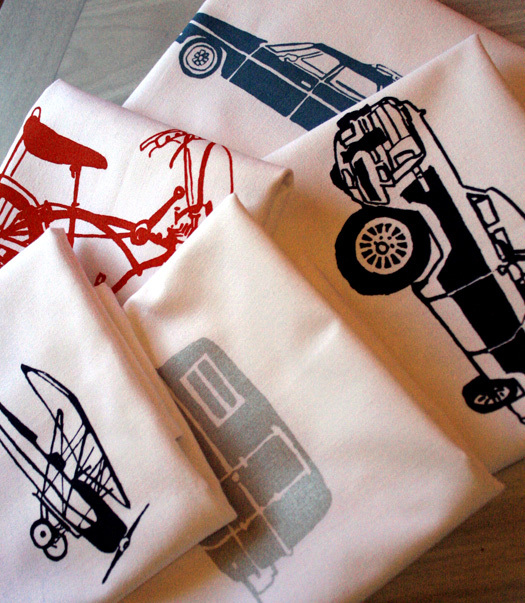 We've been selling her great tea towels at The Burlap Bag since our opening - and people just LOVE them! Enjoy learning all about her. My name is Kelly, and I’m a screen printer from Raleigh, North Carolina. Raleigh is a great little city with a warm and welcoming handmade community. I’ve got two boys ages 8 and 6, and we three love cookie dough ice cream. Also, every Wednesday is Pancake Wednesday at our house, because if it’s good enough for breakfast, it’s good enough for dinner. I love printing on fabric. Mostly I print on tea towels. I love how each one is blank canvas. I also print on amazingly soft organic cotton and bamboo jersey fabric. I buy it by the yard and a dear friend cuts it into scarves for me, then I go to town. I recently added kids’ t-shirts, which are just really darn cute. I’m thinking of adding onsies to the mix this spring. Growing up my favorite things to do were rolling skating and moss collecting. I always loved art, but didn’t really get my groove on until I was older, in my twenties. I started with photography, which kind of naturally led to screen printing. I love clean, graphic designs. And I especially love art that does something useful, like drying your dishes. I love Thai, Indian, Mediterranean, South American, Italian—wait. I love all food, especially when someone else makes it for me. I don’t watch much tv (when there are so many books to read), but I love Mad Men and Arrested Development. Music is such a big part ofmy life. I love The Avett Brothers, Fleet Foxes, The Decemberists, The Walkmen, The Clash, X, Tom Waits, and well, I could go on and on. I’d really love to try printing yardage of fabric. You need a whole lot of space, though, and right now I’m printing on my kitchen table in a 1,000 square feet of bungalow. One day, though, I’d love to have a big, airy studio to spread out and see what happens. Etsy is like an entire universe unto itself. I am inspired daily by the creative talents of the sellers there. I like simple line drawings with a humorous twist. I just had the pleasure of meeting one of my heroines, Maira Kalman. And as a screen printer, you can’t NOT love Hatch Show Print in Nashville, TN. And Status Serigraph for a lovely show poster. I’d love to be doing what I’m doing, and more of it. My youngest son just started kindy this year, so now I’ve got more time to really get to work, if you want to call it that. I have a hard time calling it work, because it is such a joy. (Well, learning QuickBooks is not such a joy.) Oh, and down the road, I’d love to teach screen printing workshops. It’s something you can start doing right in your very own kitchen (like me), and it’s such a great way to express yourself. Today's artist spotlight is with Natalie Teodori of Fresh Sewn. She's an Austin based artist that Lauren has actually known since 2nd grade! She even played the harp in Josiah and Lauren's wedding. People LOVE her hair clips in the shop. Enjoy this interview with her! -Give us some basic info about you: name, where you live, kids/pets, favorite ice cream flavor, etc. I’m Natalie Teodori. I live in the most fun city ever, Austin, TX, with the sweetest of husbands, Matt. Blue Bell (which if you live in a state where you don’t have it, I’m sorry) has this delicious coconut ice cream that is DIVINE. I also like mint chocolate chip. Textiles…anything I can touch. I love fabric, I love ribbons, I recently discovered felt. I also love beads, glass, metal. I also like buttercream frosting. Yes, but I’m not sure I knew it. I did a lot of performing—I played the piano and the harp, did a bit of theater, and a lot of ballet. I loved being onstage. Chocolate, bread, cheese, Sushi, seafood. I don’t watch tv and though I have a degree in music from the University of Texas (of which I am VERY proud!) I rarely listen to music. Knitting, baking, soap making, wood working, an instrument, etc. I’ve always wanted to learn wheel thrown pottery. I hear it’s hard. Two more recent things I really want to try are metal work (like with torches and hammers and anvils) and palette knife painting. I am so glad you asked this question. My favorite piece of jewelry that I own, besides my lovely wedding rings, is a necklace from Patrick Irla. I have this beautiful bag from Milloo and really want another. I am also very inspired by Jennifer Morris, who makes these gorgeous clay beads for her jewelry. Oooh, I have so many. Ok just a few more: Waterrose, GeorgiannaLane, teconlene…Oh and I would be remiss if I did not mention my sister, tomberina. I have 3 foot by 4 foot painting of hers in my living room and it is one of my favorite things. I hope to have either visited France or bought a house. And I hope that I have an awesome organizational system for my art/craft supplies. -Give us some basic info on you: name, where you live, kids/pets, favorite ice cream flavor, etc. Our names are Sandrine Molnar and Daniella Valerio and we are co-owners of Monorail Studio. We live in Austin, TX with one very wild cuddly tuxedo cat named Marley. He does some pretty crazy things and keeps us full of inspiration. Salted Caramel is one of our favorite ice cream flavors but we love experimenting making our own ice cream and gelato at home. We definitely love to eat and enjoy cooking and gardening on our spare time. 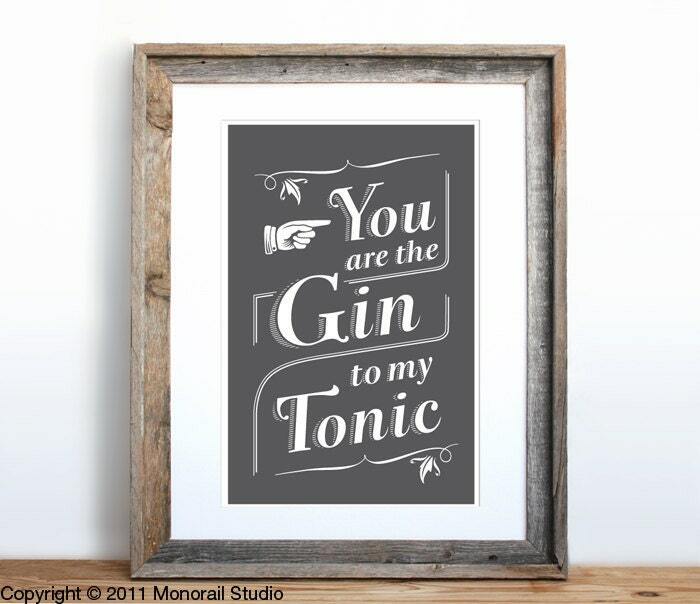 We are printmakers at heart. We love screenprinting, lithography, etching, woodblock printing and letterpress. Whenever we see a printing press we get a little giddy and excited. We currently work with screenprinting but we hope to soon invest in an etching press so we can expand our printing process. I also enjoy watercoloring particularly when it is on a print and Daniella enjoys drawing with a simple pen and paper. We were both very creative growing up. I did a lot of drawing and playing around on the beach. Daniella pretty much did the same thing too when she was growing up. We looooove food so we can’t really pick a favorite. But we really enjoy sushi, Mexican particularly Rick Bayless, vietnamese (love pho), dim-sum, and the burgers and shakes from Burger Guys in Houston. Seriously the best burgers and the best chocolate shake we’ve had (they temper their own chocolate to make it!). TV shows would have to be House and Bones. We listen to a lot of different music but we don’t really have a favorite band. We are both all over the place just because there is so much life has to offer and we want to experience a little of everything. -Is there anything you’d like to try your hand at doing? Knitting, baking, soap making, wood working, an instrument, etc. There are so many things we would like to try so we will just name a few. I’ve always wanted to try making a wonderful cake using fondant with all the bells and whistles. Bakers make it look so easy but I know it takes a lot of work and experience to pull off a fancy cake. As for Daniella, she’s always wanted to learn woodworking. It would be so nice to build your own furniture with your own two hands. We love Aaron Horkey and his outrageously detailed screenprints and Suzy Lee for her wonderful visual storytelling. From Etsy we love sycamorestreetpress and handz for their lovely colorful and bright prints and MaidenVoyageClothing who have really cool products and product shots. We also love tugboatprintshop who have really great handmade woodblock prints. One year from now we hope to both work full time with Monorail Studio. We hope to be continuing down our current path and also expand our line of products to include t-shirts, totes, and other goodies. We look forward to living off of our art and see people enjoying what we create. My name is Melanie Mckenney, I just moved back to my hometown of Buffalo, NY with my husband Justin, our daughter Lyla, and 2 dogs, Blue & Sadie. - What mediums do you like to work with? I love working with clay, glass, and jewelry. I was always creating something when I was growing up, out of any material I could find...painting rocks with nailpolish, creating sculptures of fruit, making ant boats out of leaves and twigs. I LOVE food...there isn't many foods I don't like. -Is there anything you'd like to try your hand at doing? Knitting, baking, soap making, wood working, an instrument, etc. I have pretty much tried every crafty creative thing out there. -A couple of artists/etsy shops you enjoy? I love the dresses from etsy artist FoldedRoses and AmandaArcher, the prints of trafalgarssquare, and the handbags of babyeverafter. I hope to have a thriving business and maybe buy a house or do some travelling. Occasionally we are going to show off an artist's work that is in the shop and have a brief interview. World, meet Emily. 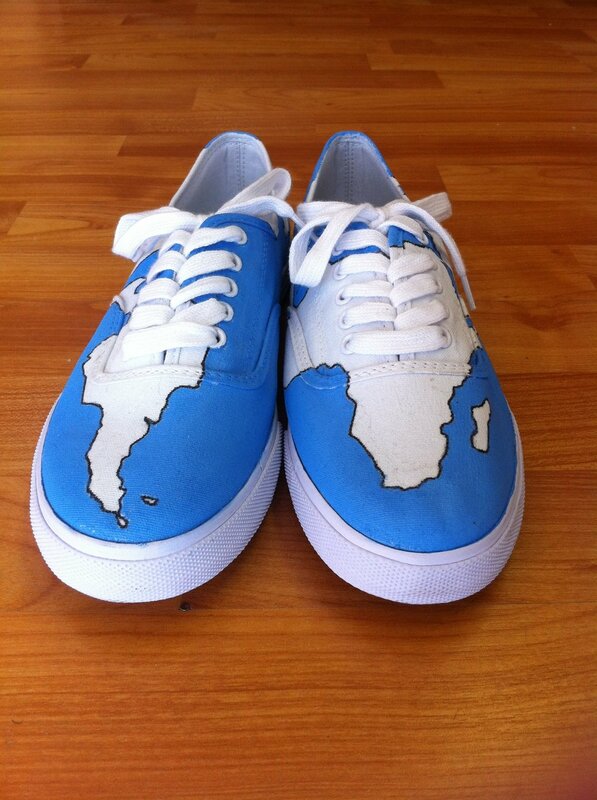 She paints these awesome shoes into a map of the world. My name is Emily Cammarata. I live in Nacogdoches, TX. I don't currently have any kids or pets, but its my dream one day to have a teacup pig. I like ice cream, but I'd pick frozen lemonade over it any day of the week. I really enjoy photography. I'm somewhat new to it but I enjoy getting to be creative with the setting, angles, and light. I also like making something from nothing; reusing old things to make something practical but with a creative twist. I was creative as a kid. Me and my 64 pack of crayolas were the best of friends. I went through different stages, too. I specifically remember trying origami when I was ten, which eventually turned into Christmas tree ornament making, then homemade card making. Oh shoot. I'll give you one of each. Favorite food is Mexican. I could eat chips and salsa every day of my life. TV show is currently Modern Family. And favorite band, there are too many to name, but I will also have a special place in my heart for Sufjan Stevens. Everything. Knitting is first on my list, followed closely by quilting, watercolor, basket-weaving and also I would love to learn to play the steel guitar someday. Deeann Rieves is one of my favorite artists, she does a lot of mixed media work that is very inspiring. One of my favorite photographers is Anna Skladmann, she has this series called "Little Adults" that is extremely interesting. One year from now I will still be in school, but TWO years from now I hope to be teaching overseas. Korea, Kenya, Afghanistan, wherever. Teaching kids, learning culture, and continuing to pursue creativity.